Address : No. 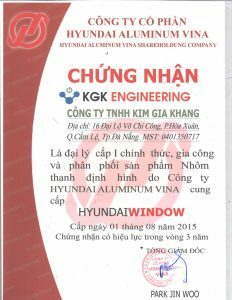 06 + 16 Vo Chi Cong Street – Hoa Xuan Ward – Cam Le District – Da Nang City. 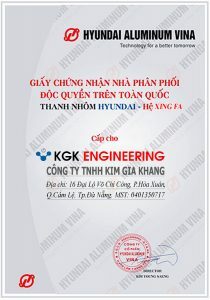 – Primary distributor of aluminum aluminum bar and accessories of Hyundai Aluminum Group in Vietnam. – Provision of services: Molding for aluminum profiles, extrusion molding, surface treatment on aluminum. – Finishing, erecting Doors, partitions, facades made of aluminum for civil and industrial projects.